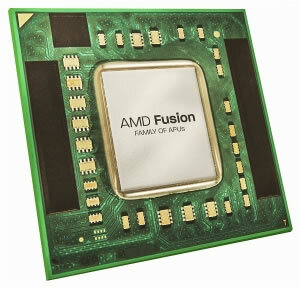 AMD has reportedly enlisted IBM to manufacture some of its next-generation Fusion chips, code-named "Trinity". The move was disclosed by the company's CEO Rory Read at an analyst event and follows a string of low yield issues with 32nm chips at GlobalFoundries throughout 2011, which even led to an agreement whereby AMD's manufacturing parter would get paid per working 32nm die only. These production problems led to a shortage of "Llano" fusion chips for mainstream PCs, making it hard to compete with Intel in terms of volume and costing the company valuable contracts with notebook manufacturers. It should be noted that in partnering with IBM AMD hasn't dropped GlobalFoundries altogether, rather the company will employ both foundries to ensure availability of Trinity APUs. As it stands right now TSMC manufactures 40nm "Zacate" E-Series, "Ontario" W-Series and "Desna" Z-Series chips, as part of the Brazos mobile platform, while GlobalFoundries manufactures 32nm A-Series "Llano" APUs for the Lynx desktop platform as well as non-Fusion Opteron and FX CPUs. Trinity, the successor of Llano based on the Piledriver CPU core, would be manufactured using 32nm process technology at GlobalFoundries and IBM. Meanwhile, there's an unconfirmed rumor doing the rounds since November that 28nm Wichita and Krishna APUs, intended to succeed current C-Series and E-Series chips for budget / mainstream notebooks, have been cancelled as AMD plans to move 28nm production from GF to TSMC and start afresh with a new design. The first part is pretty much confirmed looking at AMD's latest roadmap but the switch to TSMC remains uncertain.